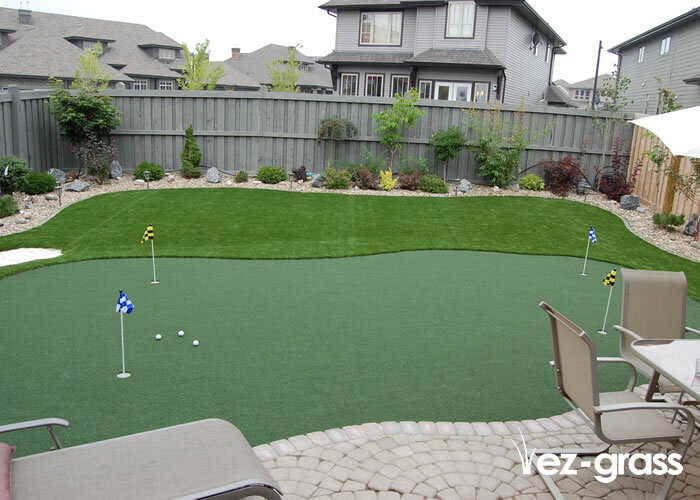 EZ Grass is Canada’s leading supplier of premium artificial grass for residential and commercial landscaping, indoor and outdoor sports fields, and putting greens! EZ Grass is incredibly versatile – create custom dog runs, your own private putting green or sports fields, include your company logo, or convert your whole property to EZ Grass to cut down on maintenance time and costs. Artificial grass can be installed in almost any place – indoors, in shady areas, on a roof top – if you can imagine it, EZ Grass can deliver. The possibilities are endless. V.J. Rice Concrete Limited is a proud distributor of EZ Grass products.